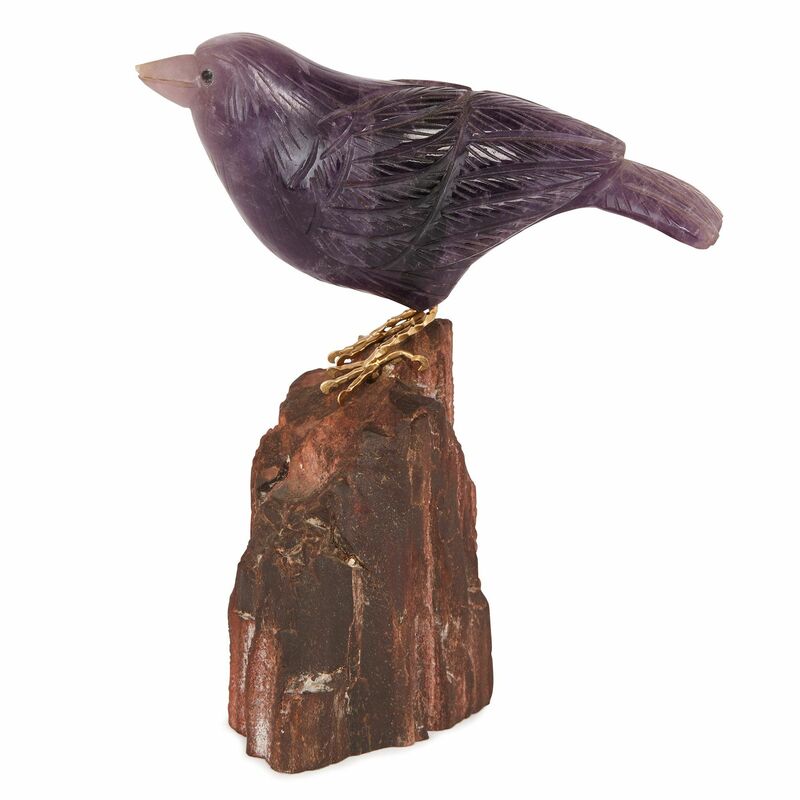 These glittering sculptures depict two birds perching on rocks, and would make a charming and beautiful addition to any cabinet of curiosities. 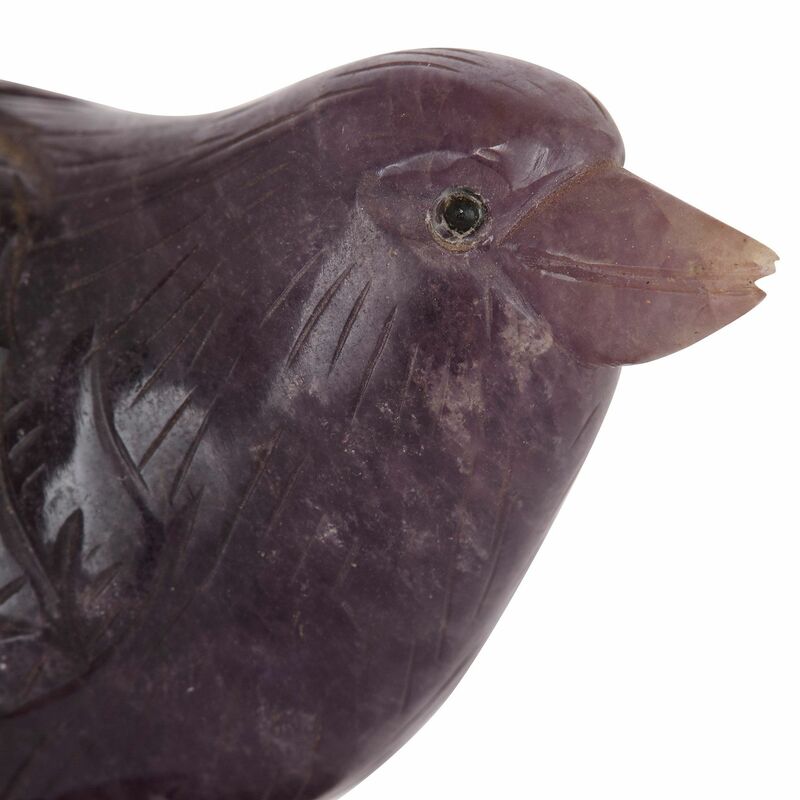 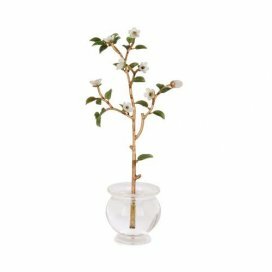 The delightful pair of sculptures are naturalistically modelled as birds, and are crafted in rare and beautifully coloured semi-precious stones. 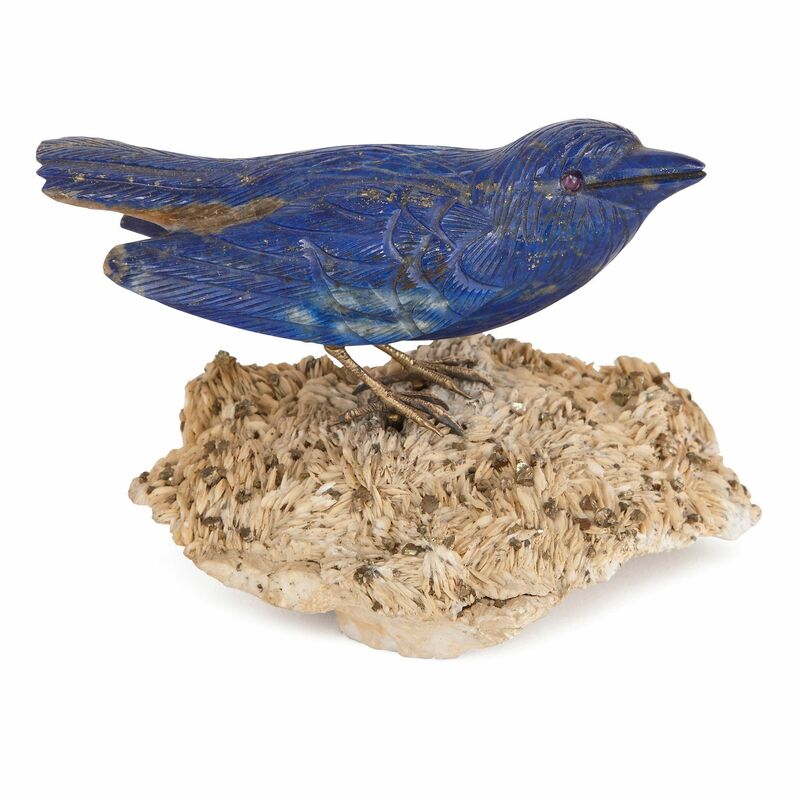 The first sculpture depicts a bird carved in rich blue lapis lazuli, a stone prized since antiquity for its intense colour. 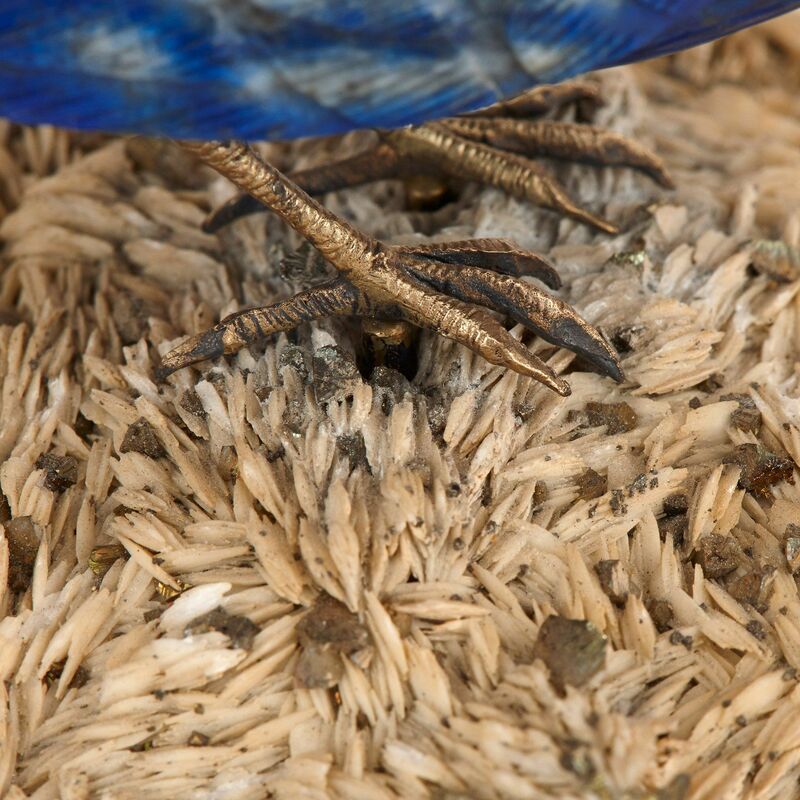 The bird perches with gold legs onto a naturalistic cropping of muscovite, a mineral stone known for exhibiting a flaky, grain-like quality, which here resembles straw or nest-like materials. 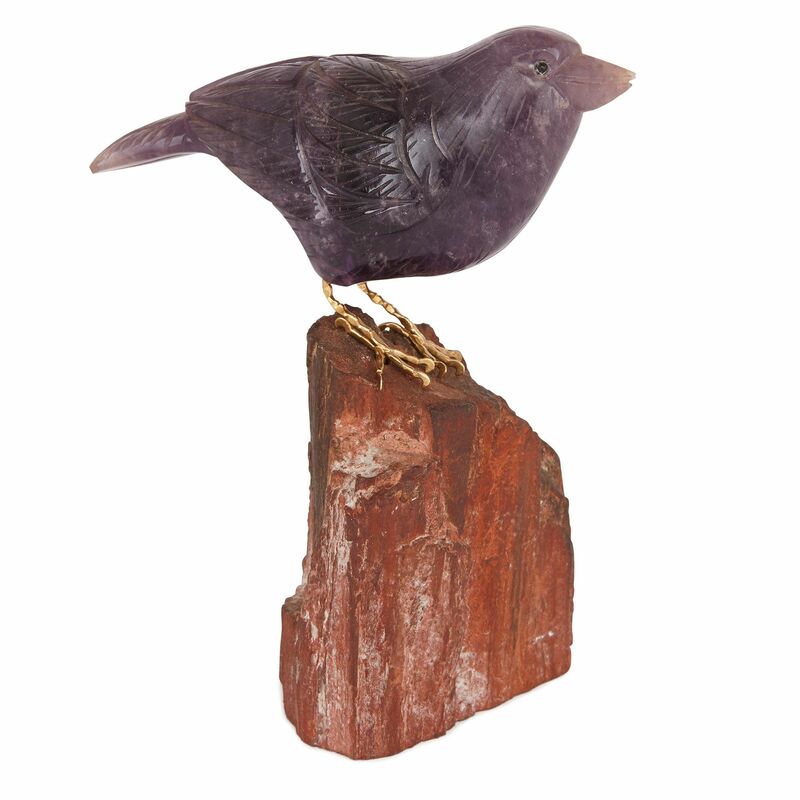 The muscovite is set with droplets of pyrite gold, which glimmer and sparkle as the bird guards them from above, like treasure.